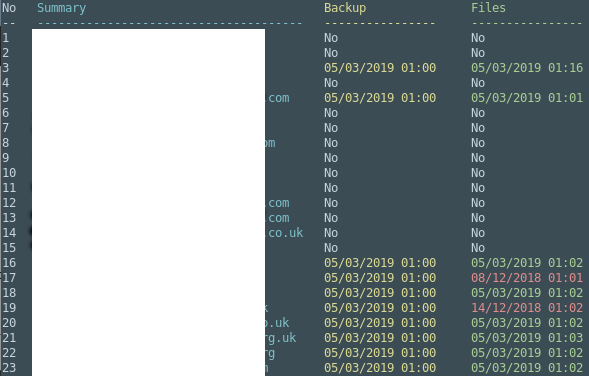 This backup was taken on the 25th February which would indicate either no backup since the 25th February or no files have changed since then. The backup date is highlighted in red when it isn’t today. A red date doesn’t necessarily indicate a problem, it might just mean no files have changed since that date. The backup command will start by creating a database backup and will then create a files backup. If you check the output of the command, you can see if the restic repository is locked (or not).